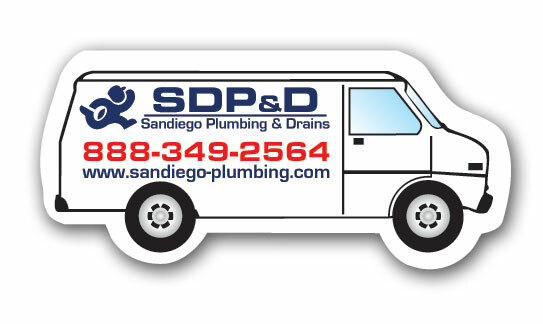 San Diego Drain Service is SDP&D and we’ll unclog all your clogged sewer drains: mainline, branch, floor drain sink mop sink, kitchen sink, bath tub, lavatory, shower or toilet by way of clean out and vent stack cabling, cable, snake snaking and hydro-jet – high pressure water cleaning to remove sludge in the lines. We work with traps, copper pipe, abs, pvc, corex, french, area, yard, pool and patio drains, we auger toilets. We are an rootx dealer for root killer product. we also offer camera and location services for your drains and a free consultation in San Diego County. Call today for a free over-the-phone ballpark quote. When you call us during business hours a plumber will answer the phone! Not a answering service or dispatch center telling you that they don’t know anything and can only send a technician out. We actually talk with you regarding your plumbing and drain needs, Then we set up an appointment to have a technician perform the work. We can usually show up that day. Or we set up appointments for the following day or when it is more convenient. We provide drain cleaning services and unclog all clogged sewer drains: mainline, Roof Vent Stack Snaking, branch, floor drain, mop sink, kitchen sink, bath tub, lavatory, shower or toilet by way of clean out, hydro-jet – high pressure water cleaning to remove sludge in the lines. We work with traps, copper pipe, abs, pvc, corex, french, area, yard, pool and patio drains, we auger toilets. also offer camera and location services for your drains. Snaking is the 1st option and usually restores flow. However, for those stubborn drains it is sometimes necessary to hydro-jet your drains when there is a high amount of grease, sludge, or food stuck in the lines. Hydro-Jetting is a superior method incorporating high water pressures that spray your drain clean and clear. Other times we may need to add acid. Other drain chemicals could be recommended. Most often we snake and add degreaser and your drains are good to go.